It's true. Glasses for oval faces can nail almost any aesthetic. People with oval faces have evenly proportioned features that give them the best luck when it comes to their style options. They can experiment and be as adventurous as they want. Love the retro vintage look? You should have no sweat rocking some classic Wayfarer style glasses. Looking to try out something quirky and cute? Go wild with some cat-eye glasses and a pop of color. Not sure if you've got an oval face shape? Step in front of the mirror and check yourself out. 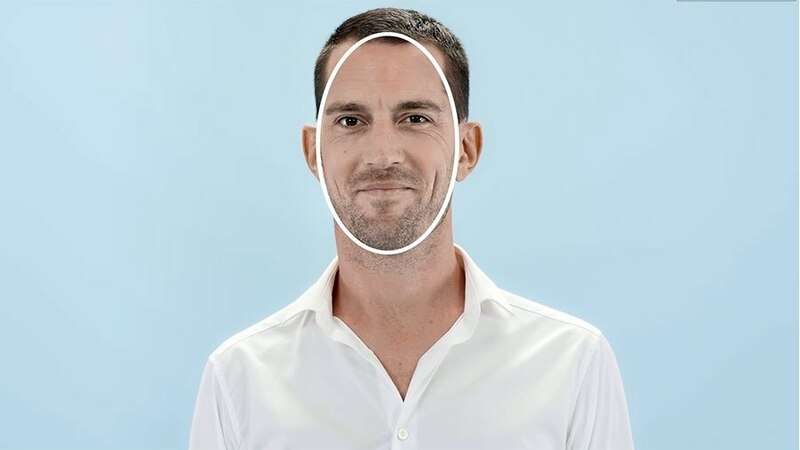 Oval face shapes are characterized mostly by a softly curved jawline. Plus, the width of your forehead should be just a bit wider than your chin, with your cheekbones usually placed just a little higher on the face. If this sounds like you, get ready- EyeBuyDirect has hundreds of frames that'll fit just right on you. We've got a wide range of trendy glasses for oval faces for both men and women. Your face type is compatible with almost any type of eyewear, so feel free to explore any style to your heart's content. Browline? Wayfarer? Regardless of what you pick, we're sure that you'll feel confident. Our selection hits that sweet spot between casual and formal just right. People with oval faces rock round glasses in a way unlike any other, so take advantage of it! That's right. The aviator style isn't limited to just sunglasses anymore. These sleek choices are some of the best eyeglasses for men with oval faces. Flirty and fun. Cat-eye glasses are a vintage classic that can bring a refreshing twist to any outfit. This classic style is a staple for American stars. You've seen them on the likes of Michael Jackson, John F. Kennedy, and Madonna. Don't miss your chance to try them out. Before you buy, we have one thing to say first. While we have a great range of glasses for oval faces, there's one important tip you should keep in mind: Be careful not to order your frames too large! Oval faces are attractive with glasses because of their evenly placed facial features, so a pair of oversized frames might throw that balance out the window. Make sure that you select the right size according to your pupillary distance and temple width. For more tips on how to find your frame size, check out our little guide here. In terms of options, the sky's the limit. So why not go all the way when you're shopping for glasses online? With our EyeTry feature, you can virtually try on any pair you find on our website. Start by checking out our selection of the best glasses for oval faces. Then, hit the "Try On" button to get started. All you need to do next is upload a photo of yourself to see how you might look in the glasses you chose. It's that easy.